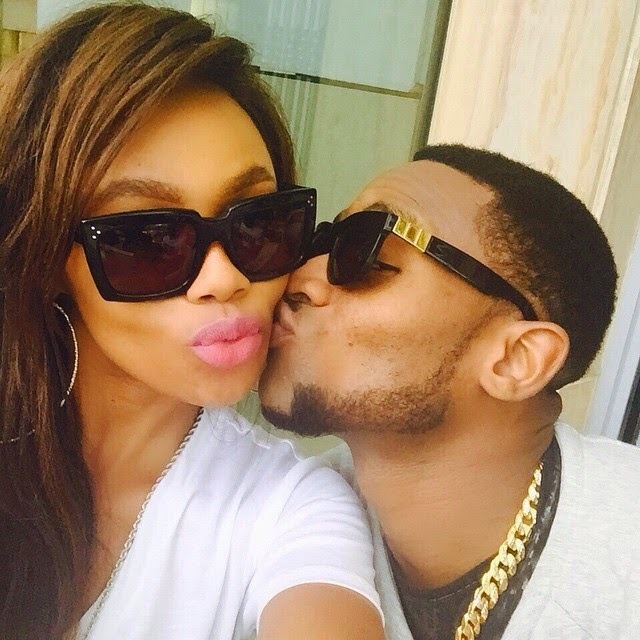 D'banj is back in the news in a romantic interest after supposed new 'Girlfriend' Bonang Matheba shared some loved up photos of the two. 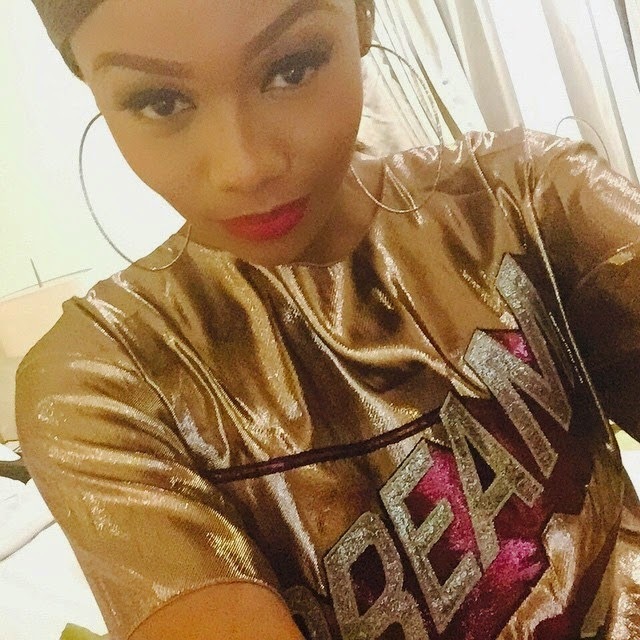 The South African media personality is currently in Nigeria for New Year and will stay over the weekend. Just yesterday, Dbanj's previous known girlfriend, Polo Avenue manager Jennifer Obayuwana, got engaged, see photos to her new boyfriend, Dubai-based businessman Peter Salah. In the photos of Dbanj with his reported new boo, she can be seen with the Oliver Twist singer, who is kissing her cheek above, or carying her in his arms.